CHPWN Jailbreaks iPhone 5 On Day 1!!! It’s been a busy day in the realm of shiny iPhone 5 – The New iPhone launched today as well as jailbroken within hours by hacker. 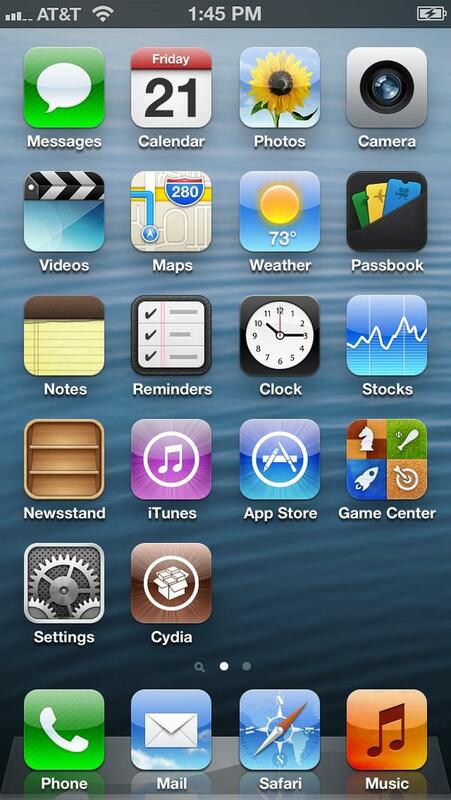 The talented iOS developer @chpwn, who is often known for developing jailbreak tweaks and applications successfully jailbroken iPhone 5 running on the latest build Apple mobile operating system – iOS 6.0. 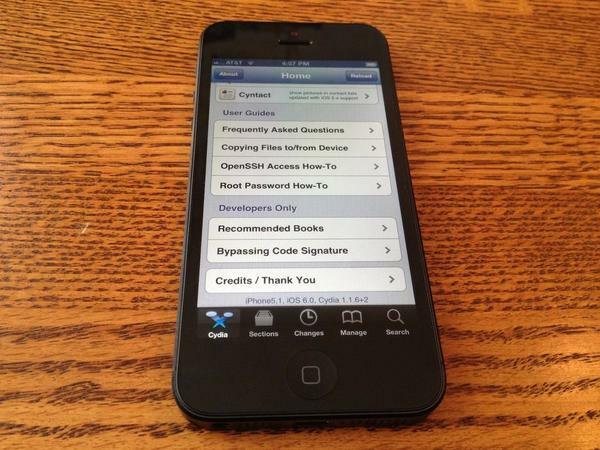 Chpwn (Grant Paul) shared the news to the public by posting the pictures of jailbroken iPhone 5 running Cydia on it. The vulnerability and method used by the hacker is not for public consumption since the exploit discovered in iOS 6.0 is not legally distributive. And, in a reply on Twitter to another iOS jailbreak developer Stefan Esser, aka i0n1c, chpwn confirmed that the jailbreak was indeed genuine. We are not sure whether he will release his own tool or will handover it to iPhone Dev Team (for Redsn0w) and Chronic Dev Team (for Greenpois0n or Absinthe). Still, lots of work is remaining before the exploit is packaged for public usage – From packaging to testing and making the cydia apps compatible with iOS 6. This entry was posted in iPhone and tagged 5, 6, chpwn, cydia, esser, grant, ionic, ios, iphone, jailbreak, paul, stefan. Bookmark the permalink. 2 Responses to CHPWN Jailbreaks iPhone 5 On Day 1!!! Joe, since you are a professional in technology stuff, Did you hear about an app called People of Leb, it contains millions of Lebanese profiles http://itunes.apple.com/us/app/people-of-leb/id563519565?Is=1&mt=8. If so, what do you think about it?